Our goal is to provide a seamless transition from orientation to your first day of classes. As such, we offer a customized First-Year Experience for all new, undergraduate students. 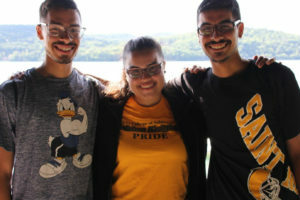 Nestled within First Year Experience is the very popular Pathways Program, an optional early arrival experience for any undergraduate student at the College of Saint Rose. There are four distinctive Pathways programs that provide opportunities for first-year students to arrive to campus a few days early. Each program offers a unique adventure where students will make new friends, engage in new experiences, develop teamwork and leadership skills, and create lifetime memories. Pathways participants emerge as creative thinkers ready to take on life at Saint Rose. Adventure Challenge builds character and collaboration, problem solving, communication, feedback and trust. We will encourage you to step outside your comfort zone and experience activities you have never tried. 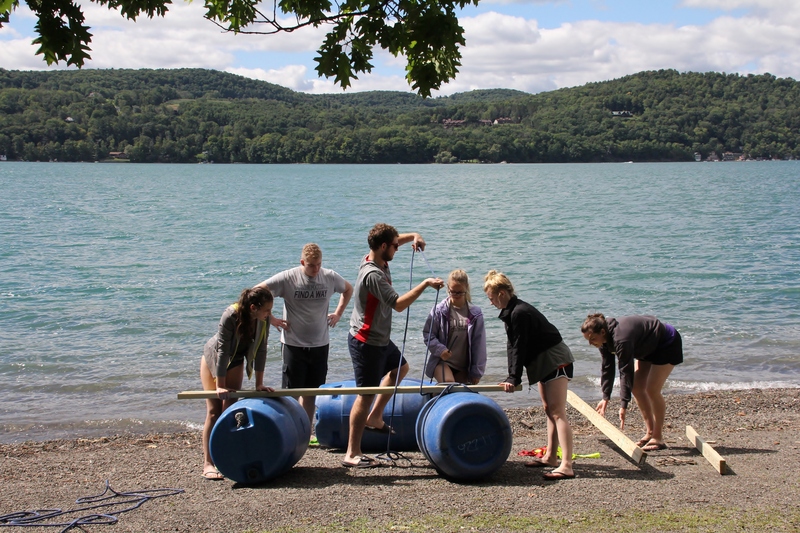 Our adventures take advantage of the beauty and resources of Cooperstown, NY which include low and high ropes course activities, canoeing, raft building, indoor rock climbing, swimming, and hiking. By engaging in these challenges together, students of different abilities discover their own strength of character and most importantly, learn to communicate and trust each other. Find out more about Adventure Challenge here! The term ALANA stands for African, Latin, Asian and Native American students. All students who are interested in an intercultural, cross-racial experience that builds leadership competencies are welcomed to participate in the program! the program’s goal has been to acknowledge and foster diversity awareness. The emphasis is on building inclusive communities and providing opportunities for new students to transition to the College of Saint Rose while building skills for academic success. The program consists of a vibrant outdoor adventure experience, academic preparedness workshops, and fun social events. As a student in the ALANA is Leadership Program, you will be paired with an upperclassman who will serve as your guide while you navigate through your first year on campus. Find out more about ALANA is Leadership here! Arts Encounter introduces students to the visual and musical riches of New York’s Capital Region. Through this program, you will meet others who share your interests in the arts. 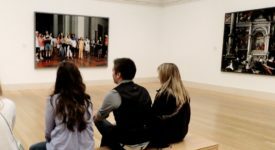 Both those skilled in art and music and those who simply enjoy participating as audience members can take advantage of opportunities to create art and music as well as enjoy the many cultural treasures of the area. Planned activities will showcase the Saint Rose art and music facilities and will also include visits to local galleries and music venues as well as the nearby Berkshires, in Western Massachusetts, long recognized as a haven for the arts. Find out more about Arts Encounter here! 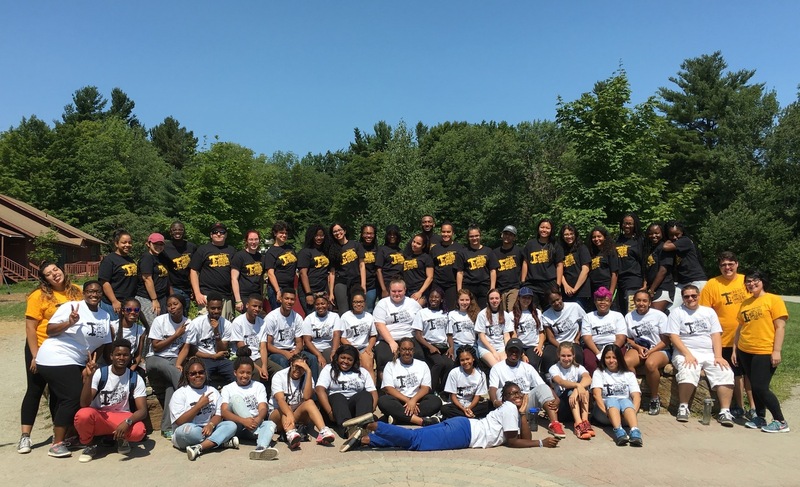 Urban Launch provides an immersion experience for a select group of students eager to dedicate themselves to community service and social justice in an urban setting. you will meet students with similar interests, develop leadership skills that you can put to use on future service projects. You will have the opportunity to confront moral and ethical issues by working with agencies that address issues of poverty, homelessness, and education in New York’s Capital Region. 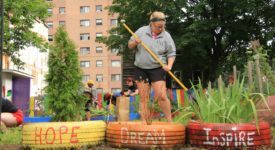 Past community partners include Habitat for Humanity, Big Brothers/Big Sisters, Saint Anne’s Institute, and the Albany City Mission. Find out more about Urban Launch here! The registration fee for Adventure Challenge, Arts Encounter and Urban Launch is $150 (including $75.00 deposit, payable with the application, which becomes non-refundable on acceptance into the program). The remainder of the fee is due by August 5, 2019. Due to a generous donation from National Grid, the ALANA is Leadership Pathways is free for student participants. Registration is still required as space is limited in each of the programs. 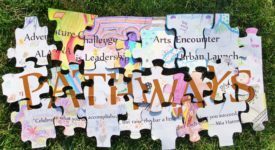 Are the Pathways Programs Required for All First-Year Students? No, the Pathways Programs are not required but highly encouraged. The Pathways Programs provide a unique opportunity to meet students through our four unique Programs. Once you register and are accepted into your Pathways Program of choice, participation in the Pathways Days is required. The full cost is $150 (a $75 non-refundable deposit is included in this cost) for Adventure Challenge, Arts Encounter, and Urban Launch. The ALANA is Leadership program is free of charge. Your deposit is due at the time of registration and partial need-based scholarships are available to those who wish to be considered. The $150 will cover early housing for the student for the three days, meals for the three days, transportation to various sites (program specific). You will need your Student ID number and student email, and the names and email addresses of your emergency contacts. 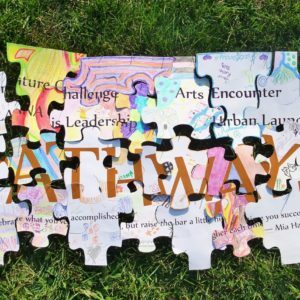 Can I Participate In Pathways If I'm Signed Up For STAR Day #5 (08/20)? What is the Schedule for the First Day of Pathways? When Do I Move In? Please note that Pathways will be from Sunday August 18- Wednesday August 21. Move-in and check-in will be on August 18th between 10am and 2pm. We advise that families say their goodbyes and depart before the 3:30pm Introduction and Student Keynote. At 4:00pm, Students will be departing to meet with their individual programs. What is the Attire for Pathways? Each Pathways Program will send a packing list specific to their program later in the summer. Dress comfortable for move-in day as it can be hot moving things into the residence halls. Meals will be provided for the Student Participants during the duration of the Pathways Programs. If I am Flying, What Airports Are Around and What Flight Times Should I Arrange? The Albany International Airport (ALB) is approximately 20 minutes from The College of Saint Rose. When scheduling flights, please keep in mind your travel time to and from The College of Saint Rose and the Albany International Airport. "The Pathways Program was like a bike with training wheels, it helped me adjust smoothly into college by making friends and getting out of my comfort zone, and at the end i realized that I didn't need the training wheels as much as I thought." 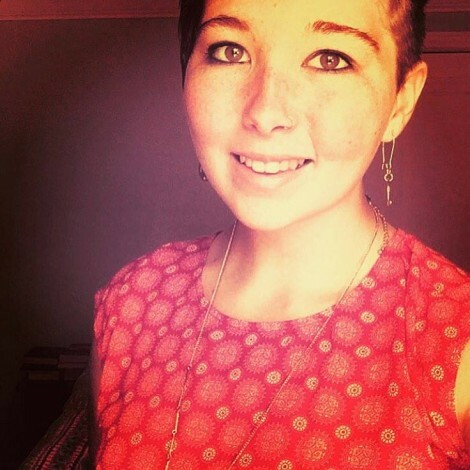 Kari was an Adventure Challenge participant and asked to be a student leader for the program the following year. "I am thankful for the ALANA is Leadership program and the many opportunities that came along with it. Camping, rock climbing, karaoke, and learning leadership skills to name a few activities. When I first signed up for this program, it seemed like it would be a great experience, but I didn't know what was truly ahead. I signed up for the ALANA is Leadership program, but became a part of a family on campus which diligently supports all of its members academically and socially. As new college students, these experiences are invaluable and essential to comfortable adjusting to life in college." 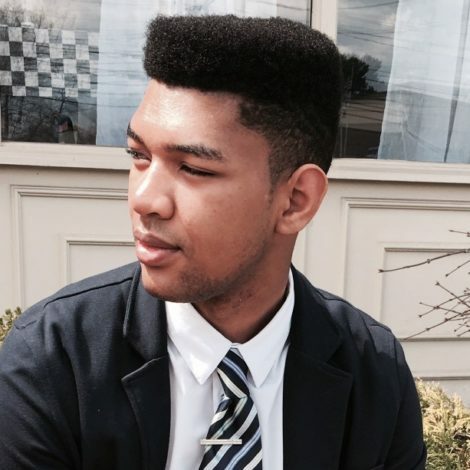 Noah was in Pathways his freshman year and returned as a Peer mentor the following year.